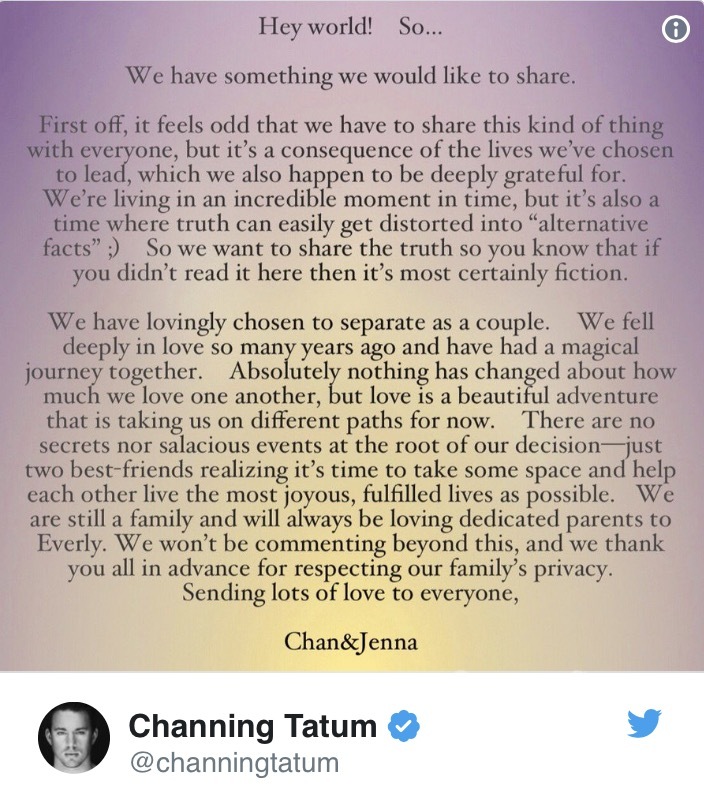 Channing Tatum and Jenna Dewan-Tatum are separating after eight years of marriage and they both made a joint statement via Twitter. Fans of the 2006 hit movie Step Up watched the sparks fly between the two co-stars on the silver screen and little did the public know, the two were falling in love in real life. couple exchanged "I do's" in front of family and friends in an outdoor Malibu ceremony in July 2009 and four years later, their daughter, Everly was born.